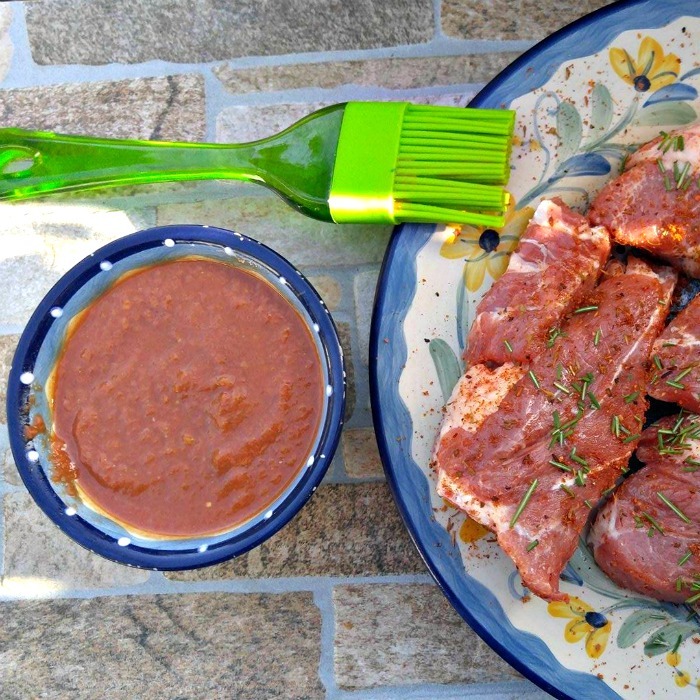 This clean eating barbecue sauce has a spicy and smoky flavor that is perfect on so many cuts of meat. It fits into a Paleo, Gluten Free, Whole30 or Sugar Free diet and is super easy to make. Grilling recipes are popular in our house all year round, but the grill really gets a real workout in the summer months and a good BBQ sauce is a must. I enjoy making healthier substitutes for foods that won’t fit into my current diet, while still leaving the taste. I also recently made a Paleo Worcestershire Sauce that is a great substitute for the original. Me trying to cut out sugar is an exercise in looking at store labels and saying “dang it all, sugar AGAIN!” It seems that everything has sugar in it now. I bought some beautiful spare ribs at Whole Foods the other day and was all gung-ho to make them, but every single jar of barbecue sauce that I had in my pantry (and there were a lot of them) had sugar in some form. 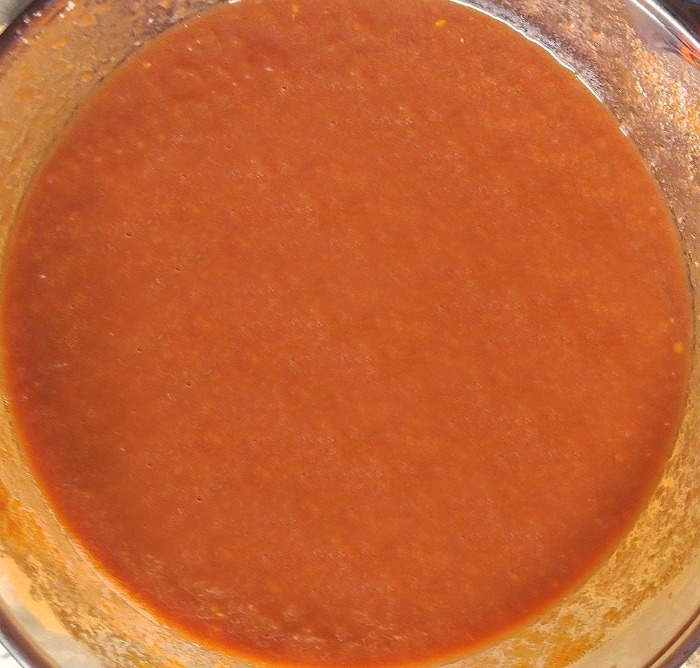 It’s easy to make your own Clean Eating Barbecue Sauce! I decided to give them all a miss and just make my own. I tinkered with the recipe, tasting and testing until I came up with one that I like every bit as much as the store bought kind. 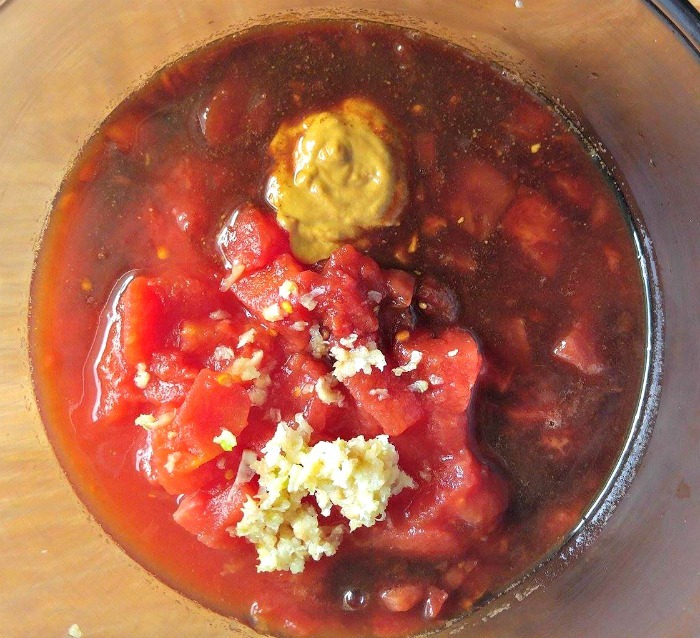 My sauce gets a smoky flavor from cumin and red pepper gives it the heat that my husband loves. Since the sauce will not contain sugar, I added some full fat coconut milk to round out the taste and make it not so “vinegary” tasting. I just dumped everything into a sauce pan and brought it to the boil. It was chunky when I started but a quick whizz in the blender and I got the consistency I was after. 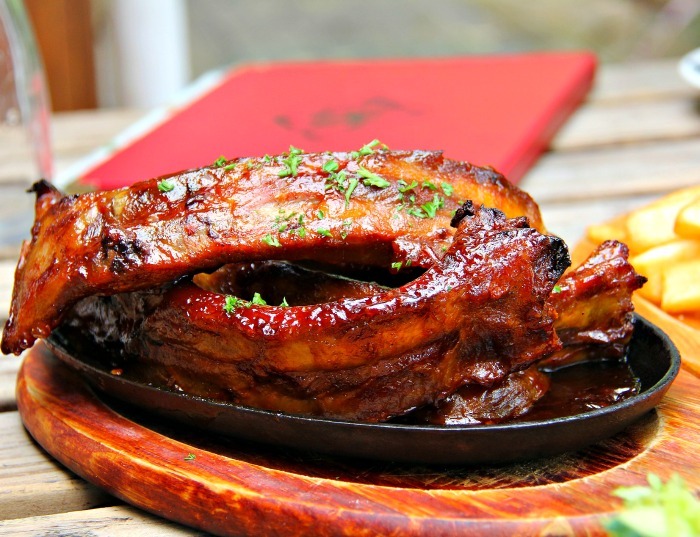 The sauce is perfect on all kinds of meats for the BBQ. We are using it tonight on pork spare ribs, but steaks, any chops and burgers will be great with it too. TIP: I made a huge batch of this because I was trying to get the heat right but not too hot. In order for it to be not so spicy, I ended up doubling the recipe but keeping the red pepper down. The sauce will keep in the fridge for quite a long time since there is a lot of vinegar in this recipe, but a great kitchen tip is to place the leftovers that you don’t think you will be using soon into zip lock baggies and freeze them. When you are need of some for a barbecue, just take the baggie out, defrost in the microwave and you are ready to go. Combine all of the ingredients in a sauce pan and bring to a boil. Reduce the heat and simmer for 20 minutes. Pour the mixture into a blender and blend until it is smooth consistency. Use on steaks, chops and burgers for a great barbecue. Keeps well in the fridge for several weeks, and also freezes well. Hey, I’m brand new to paleo BBQ sauce! I have a question for you. Tomato sauce should be sugar free or not? Will wait for your reply.